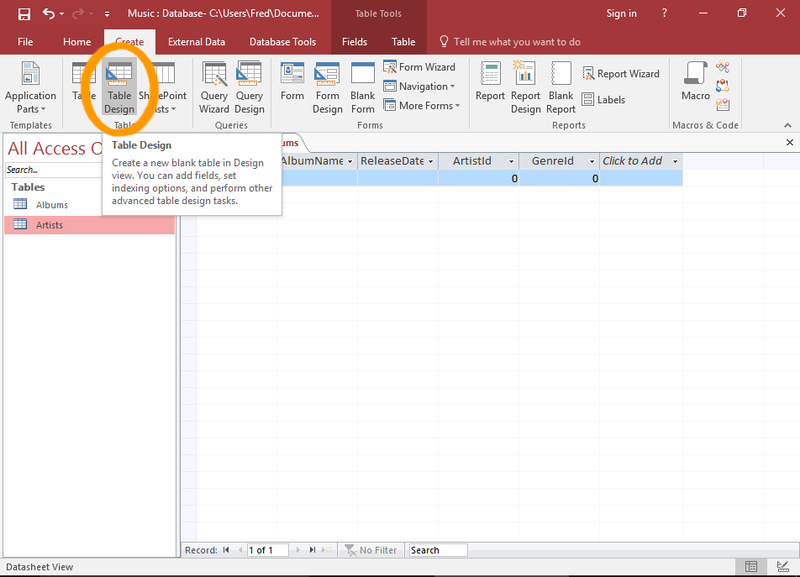 ﻿ How To Create A Table In Design View In Access 2016? 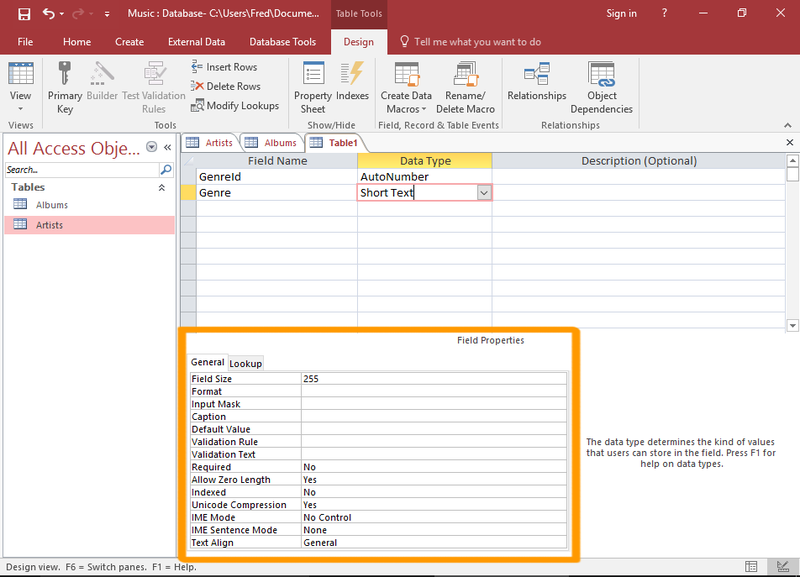 How To Create A Table In Design View In Access 2016? We all use MS Access to do tasks like keeping track of inventory or to maintain a record of customers and clients. But as the time passes managing records of these tables can be cumbersome task to do as the database grows in size and complexity. Well in such cases access’s design view helps in minimizing trouble while editing tables. If datasheet view won’t work then switching your table over to Design View for a better perspective of your data is the nice option. Before approaching towards creating tables in datasheet view let’s know what’s the difference between these two Design View And Datasheet View. As this will clear that what are plus points of creating table in Design View. You can create table in either Datasheet View or Design View. You can do lots of thing in both views but there are certain things that you can do in design view but not in datasheet view. You can see all the fields’ data type in just one screen without clicking on each field. Display every field and property in a single view allowing you to see the structure of the complete table. The Design View interface is easier to adjust field properties too. Now to get started building database tables in design view of Access 2016, just follow these simple steps to dive in and build your table. 1. Click the Create tab on the ribbon and then from the Table Group click the Table Design button. 2. New table appears in design view ready for your new fields. The property sheet and field properties appear as well. If you don’t see the property sheet then press F4 to open it. You can’t save the table unless it has at least one field. These steps assume you have a table open in design view. 2. Enter your field name. Field name can be of 64 characters. Keep your filed name short and descriptive. 3. 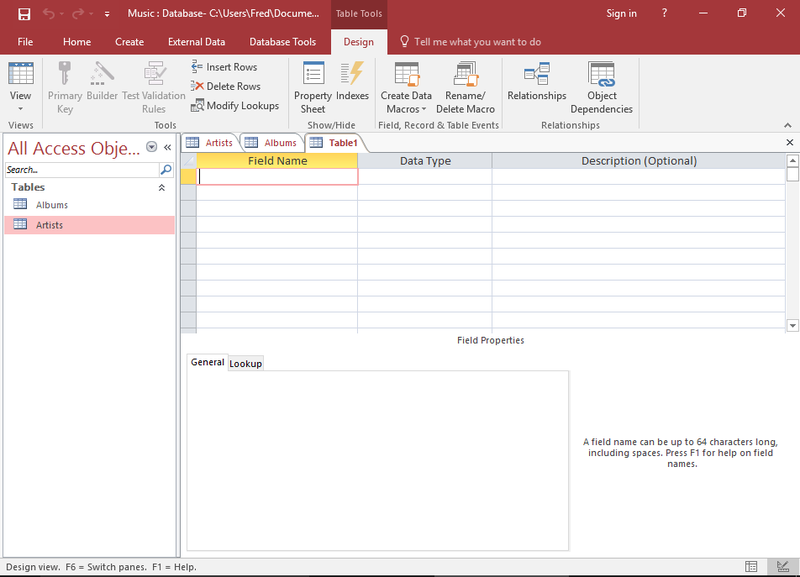 In each of the subsequent blank row, type each field name that belongs with your new table. 4. Click File → Save (or press Ctrl+S) to save your new table. 1. Click in the Data Type column next to the New field. 2. Select the Data Type from the list. 3. Enter a field size on the Field Size Property row in the field properties section of table design. Not every data type needs a field size, but most do. 4. Likewise do step 2 and 3 for each filed in the table. 5. At last Save the table. Once the table is configured make sure to save it. In any case, you will be prompted to save it when you try to switch to Datasheet View or close the table.